NBP is a group of building professionals -- architects, builders, artisans, real estate agents, and financial consultants -- who are skilled in the planning, remodeling, or construction of Nazarene churches. All members are dedicated Christians in good standing with their local churches. You can approach them with the expectation of receiving a sincere response without obligation. Members provide expert advice and assistance to district superintendents who need timely answers to building problems. - Members address tough questions of design, location, engineering, contracting, building and renovation, financing, and project management for Boards of Church Properties. - Referrals are given with the names and areas of expertise of NBP members by region so they may be contacted for consultation according to your building needs. Members give information to or meet with church boards to help them make informed decisions about the use, development, and expansion of their properties and to assist them in planning. Arrangements are made directly between the church and the architect, engineer, contractor or construction manager, and/or consultant. Randy Haverfield A.I.A. was elected NBP President in June of 2009. 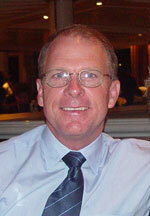 He is the Founder and Senior Architect at the firm of Architecture Northwest, P.A. located in Nampa, Idaho. He is a member of the American Institute of Architects and is registered by the N.C.A.R.B. Randy is currently licensed to practice architecture in 10 western states. All NBP inquiries can be directed to Randy. Individuals can join the Association of Nazarene Building Professionals by contacting Randy Haverfield (1st) and filling out the membership application (2nd). Please note the two attachments to the main application.